It’s World Down Syndrome Day (03/21/2018)! I’m not usually big on “Awareness” Days, but I make an exception for this one, because it celebrates some very special people. The date that was picked (3/21) is no accident – on this date, we celebrate those wonderful people who have 3 copies of the 21st chromosome. Life in a family with a DS member is a whirlwind adventure! 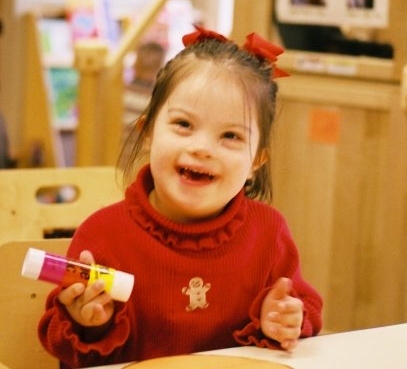 One of the things that many families worry about is how having a child with Down syndrome is going to affect the other children in their family. I always tell them not to worry – almost all siblings of people with DS have close, loving relationships with their DS brother/sister throughout their lifetime. There is lots of laughter in the houses of DS families. The most fun thing about having someone with Down syndrome in your family is that EVERY day is a party – most of us actually feel sorry for non-DS families! This entry was posted in Annual Posts, Down syndrome, Foodie Friday, Holidays, Inspirational and tagged Down syndrome, Mattie B, Rebecca. Bookmark the permalink. The Truth About "A Mother's Tale of Heartache"
Music from "Sherlock" - "Sinnerman"